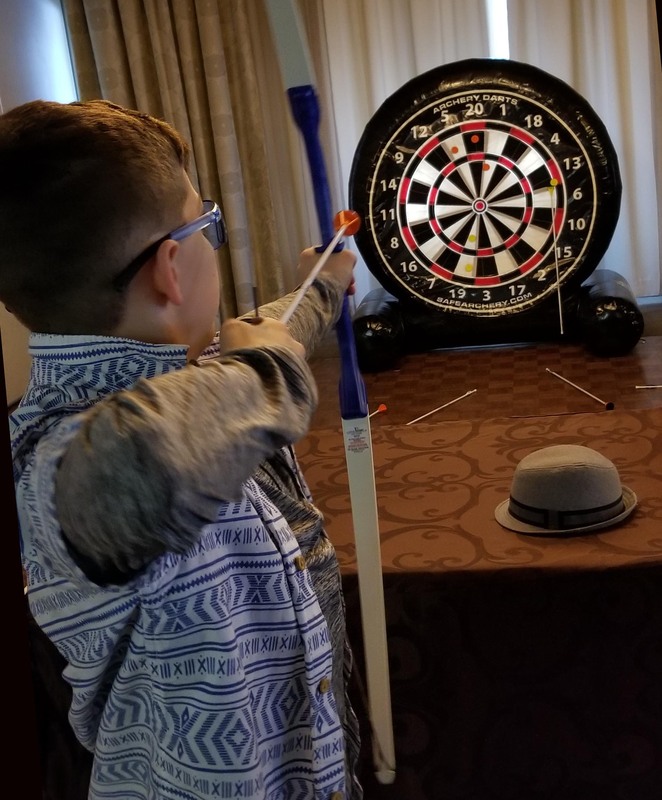 SAFE Archery Stick It Bulls Eye Giant Inflatable Darts Interactive Game available from Talk of the Town Entertainment Company, Rockville, MD. Stick It Bull's Eye Darts - Are you afraid to challenge someone to a friendly game of darts because you're scared you won't hit the board? Well, you shouldn't have that problem anymore with our inflatable achery / dart board! Great for a Pub Night Party, School Carnival, Convention, or Tradeshow. Includes: Inflatable dart board, 2 soft tip archery bows, and 6 velcro darts. Requires: Electricity (110 volt, 11 amps). Electricity only needed for inflating unit - does not run continuously. Take a look at our other related team building activities: Human Foosball, Buddy Walkers Maze Island, Parachute Volleyball, and Nuclear Waste.